Watsonville native Robert F. Jaime died Sunday, of kidney complications, in his home surrounded by his children. He was 80. Mr. Jaime graduated from Watsonville High School in 1956. He served in the U.S. Navy. He worked in the grocery business for 34 years, and was also formerly a Coast Guard Reserve and a Watsonville Reserve Police Officer. 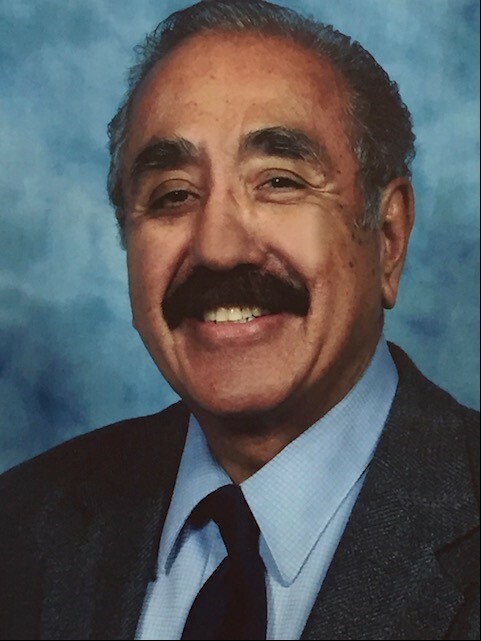 He served, and led, numerous community organizations – San Pablo de Colores, Watsonville Senior Center, Knights of Columbus, American Legion. He also volunteered at the Watsonville Community Hospital following the untimely death of his wife - Inez. He leaves his children Robert A. Jaime, Catherine A. Casillas (Bruno), Matthew S. Jaime (Lidia), Joseph A. Jaime (Rosa) and 4 grandchildren; also siblings Joe Jaime, Rebecca Correa, Rick Jaime (Elsa), Danny Jaime, and numerous cousins, nieces and nephews. St. Patricks Church (721 Main Street) will host both Rosary, September 10th at 7 pm (viewing at 6 pm), and Funeral Mass, September 11th at 1 pm. Burial will follow at Valley Cemetery. Reception to be held at San Pablo de Colores (505 San Juan Road). Special thanks to the staff at Dominican Hospital and Hospice of Santa Cruz County. Mehl’s Colonial Chapel was entrusted with the arrangements.